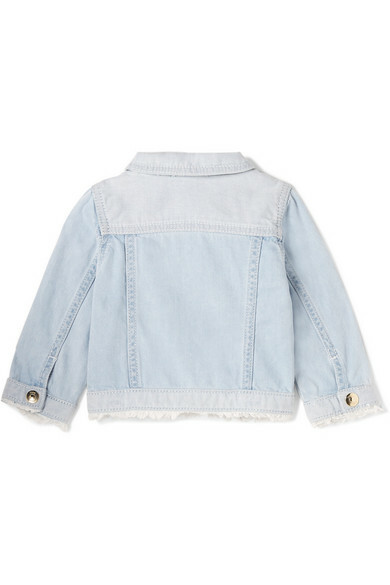 Chloé Kids' lightly frayed denim jacket is made from soft denim that's machine washable, so you don't have to worry about inevitable milk spills. 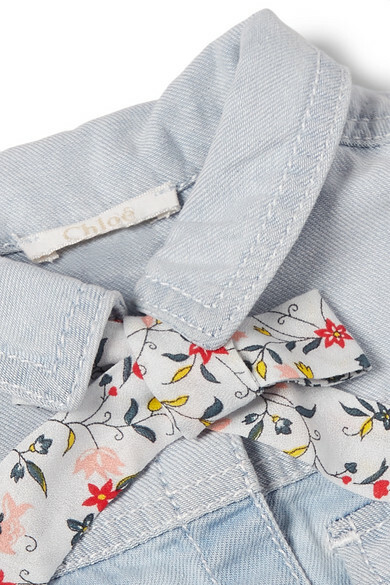 It's detailed with a pretty floral-print tie which fastens into a sweet bow underneath the collar but can be removed and popped in your memory box as a keepsake. 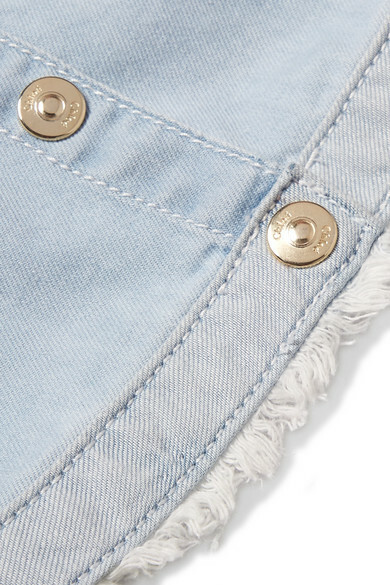 The snaps make it easy to fasten up, too.